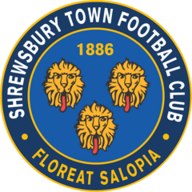 Match ends, Port Vale 1, Shrewsbury Town 2. Second Half ends, Port Vale 1, Shrewsbury Town 2. Attempt missed. Tyrone Barnett (Port Vale) right footed shot from outside the box is too high. Tyrone Barnett (Port Vale) wins a free kick in the attacking half. Foul by Abu Ogogo (Shrewsbury Town). Omar Beckles (Shrewsbury Town) is shown the yellow card. Corner, Shrewsbury Town. Conceded by Ben Whitfield. Goal! Port Vale 1, Shrewsbury Town 2. Shaun Whalley (Shrewsbury Town) right footed shot from very close range to the centre of the goal. Attempt missed. Tyrone Barnett (Port Vale) right footed shot from outside the box misses to the right. Foul by Billy Reeves (Port Vale). Bryn Morris (Shrewsbury Town) wins a free kick in the attacking half. Substitution, Shrewsbury Town. Arthur Gnahoua replaces Carlton Morris. Foul by Tyrone Barnett (Port Vale). Attempt missed. Carlton Morris (Shrewsbury Town) right footed shot from the centre of the box is too high. Attempt saved. Shaun Whalley (Shrewsbury Town) right footed shot from the right side of the box is saved in the centre of the goal. Foul by Tom Anderson (Port Vale). Carlton Morris (Shrewsbury Town) wins a free kick on the right wing. Substitution, Port Vale. Dan Turner replaces Danny Pugh. Goal! 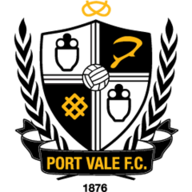 Port Vale 1, Shrewsbury Town 1. Louis Dodds (Shrewsbury Town) right footed shot from the centre of the box to the centre of the goal. Assisted by Shaun Whalley. Omar Beckles (Shrewsbury Town) wins a free kick in the attacking half. Bryn Morris (Shrewsbury Town) is shown the yellow card for a bad foul. Billy Reeves (Port Vale) wins a free kick in the defensive half. Foul by Bryn Morris (Shrewsbury Town). Substitution, Port Vale. Ben Whitfield replaces Marcus Myers-Harness. Billy Reeves (Port Vale) wins a free kick in the attacking half. Attempt missed. James Gibbons (Port Vale) right footed shot from outside the box is too high. Tom Anderson (Port Vale) wins a free kick in the attacking half. Foul by Carlton Morris (Shrewsbury Town). Attempt missed. Tyrone Barnett (Port Vale) left footed shot from the centre of the box misses to the left following a corner. Corner, Port Vale. Conceded by Aristote Nsiala. Second Half begins Port Vale 1, Shrewsbury Town 0. Substitution, Shrewsbury Town. Lenell John-Lewis replaces Alex Rodman. First Half ends, Port Vale 1, Shrewsbury Town 0. Attempt saved. Shaun Whalley (Shrewsbury Town) right footed shot from outside the box is saved in the centre of the goal. Mat Sadler (Shrewsbury Town) wins a free kick in the attacking half. Corner, Shrewsbury Town. Conceded by James Gibbons. Mat Sadler (Shrewsbury Town) is shown the yellow card for a bad foul. Tyrone Barnett (Port Vale) wins a free kick on the right wing. Foul by Mat Sadler (Shrewsbury Town). Attempt missed. Carlton Morris (Shrewsbury Town) left footed shot from the right side of the box is too high. Corner, Shrewsbury Town. Conceded by Tom Anderson. Tyler Denton (Port Vale) wins a free kick on the right wing. Attempt missed. Aristote Nsiala (Shrewsbury Town) header from the centre of the box misses to the left following a set piece situation. Foul by Tyler Denton (Port Vale). Carlton Morris (Shrewsbury Town) hits the bar with a header from the centre of the box. Tyrone Barnett (Port Vale) wins a free kick on the left wing. Foul by Aristote Nsiala (Shrewsbury Town). Attempt saved. Alex Rodman (Shrewsbury Town) right footed shot from outside the box is saved in the centre of the goal. Carlton Morris (Shrewsbury Town) is shown the yellow card. Gavin Gunning (Port Vale) is shown the yellow card. Danny Pugh (Port Vale) wins a free kick in the attacking half. Goal! Port Vale 1, Shrewsbury Town 0. Cristian Montaño (Port Vale) right footed shot from the centre of the box to the centre of the goal. Assisted by Marcus Myers-Harness.